These ten, 1 ounce Silver Bars are minted from .999 fine silver. Product Type: Bullion Dimensions: 30 mm x 51 mm Thickness: 3 mm Material: (10) 1 oz .999 Silver About silver: For thousands of years, silver has been used as a form of currency. Silver was the preferred unit of exchange in nearly every early culture worldwide. Today's paper money derives its purchasing power only through confidence in a nation's ability to maintain a "prudent fiscal policy." In turbulent times, such as those we are experiencing in the world today, diversifying your savings/investment strategy by adding silver may be a smart move. Indeed, many experts suggest that 10% to 15% of portfolio assets be in precious metals. Learn more about investing in silver: * 3 Reasons to Add Silver to Your Portfolio * Should You Invest in Silver Now? 'Rich Dad' Thinks So * Add a silver lining to your portfolio IMPORTANT! 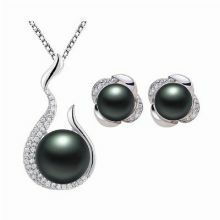 The MSRP reflects the fluctuating market price for these silver products. 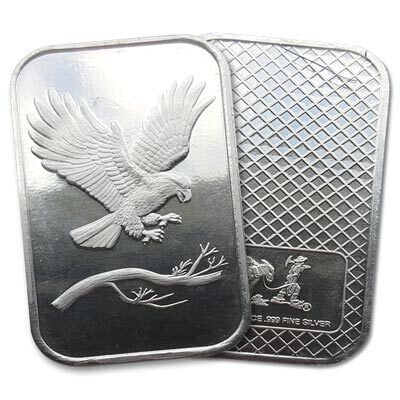 These ten, 1 ounce Silver Bars are minted from .999 fine silver.